This story is too great not to share. Thank you Nate Bagley for sharing it with me! Drew Manning is a personal trainer by profession. To get a better understanding of what it is like to lose weight, he decided to gain 50-60lbs in SIX MONTHS! Move over Oprah!! This is Drew’s story and photo-journal of his body transformation. It has been very interesting to follow, and strangely inspiring. 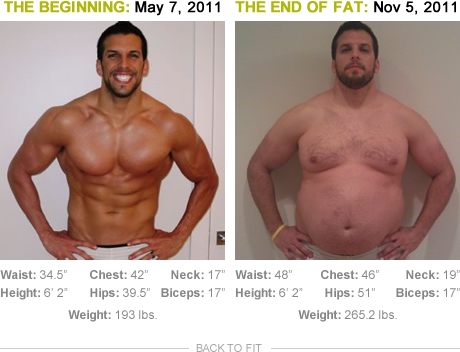 Check out his Fit 2 Fat 2 Fit story! Take a stroll through my other recent blog posts. You’re sure to find something you like. The Time To Cleanse is Upon Us!